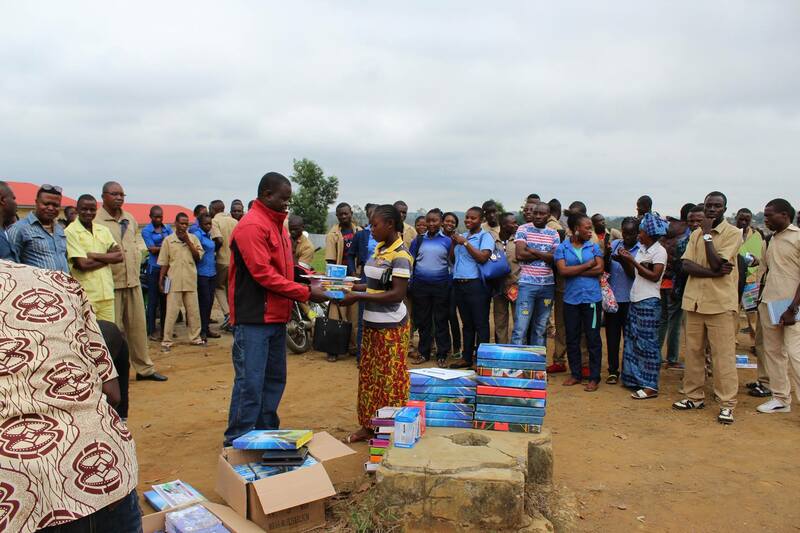 The ceremony to deliver School supplies to the students leaving the neighborhood of Bambama, Republic of Congo to go to Sibiti High School far away from home, took place today in the presence of the headmaster of the High School and all his staff. 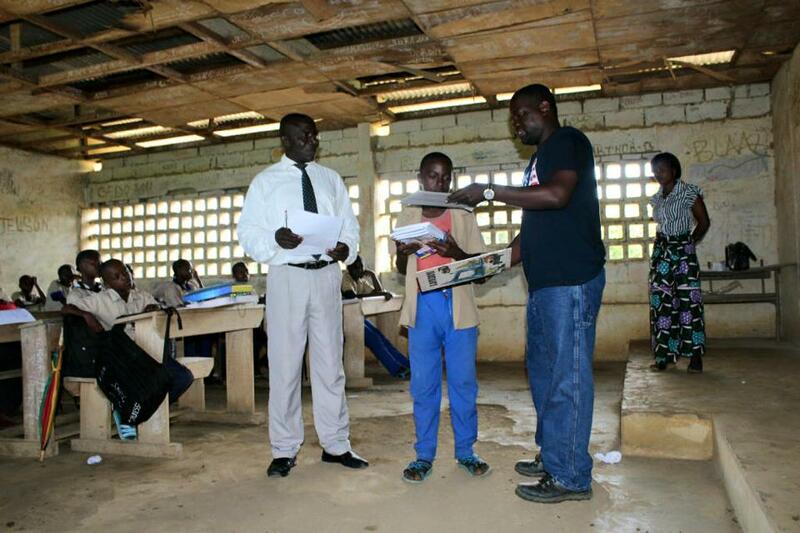 Today, to the 60 students, we distributed the following items: 7 notebooks, pens, arithmetic equipment, bags for those who passed the class with a high grade (to promote a merit-based reward system), plastic binder for others. More importantly, we have also paid health insurance for 33 students who are already enrolled to High school during this school year. We await the end of the 27 other inscriptions to pay for their insurance. Very often, students are kicked out of school here in the middle of school year if they have not paid this insurance fee yet. We need to take that burden off the shoulders of those students. We also dona ted a box of chalk and agendas to the High school staff. I think it is important to emphasize that these students come from Bambama, a nearly 200 km location, away from this High school. They have to leave their parents, pay the rent and live alone in this small town during their high school years (3 years). We took a decision in 2013 to assist them, help them and encourage them to go to school, because tomorrow depends on them. To all who participated in this journey, I thank you all and want to let you know that all those students deeply appreciate your contribution.